Canada's Augusta Resource Corp. (TSX:AZC) became the latest target of a hostile takeover this weekend, as HudBay Minerals (TSX:HBM) made a hostile bid for the 84% of exploration company Augusta Resource, which aims to gain control of its Rosemont project in Arizona, which could become the third largest copper mine the United States. 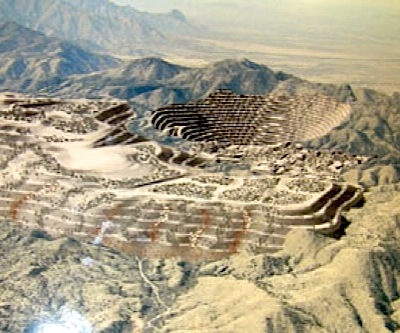 The bid, announced late Sunday, comes just weeks before Augusta is expected to receive final approvals that would allow it to begin development and construction at Rosemont, which has the potential to account for up to 10% of all of the US copper production. Shares of Augusta Resource Corp. soared over 26% today on the news, trading at $3.16 at 2:53 pm ET. HudBay, with operations and development projects in Manitoba and Peru, valued its all-stock bid at C$2.96 per Augusta common share, or $540 million for the company on a fully diluted in-the-money basis. The takeover is lower than what Goldcorp Inc.’s (TSX:G) (NYSE:GG) has offered for Osisko Mining Corp (TSX:OSK) so far. In a note to investors Monday, Laurentian Bank Securities expert, Chris Chang, said Hudson offer is low. "We believe an offer of at least $3.89 per share would be required to adequately reward Augusta shareholders. In our view, a positive permitting decision alone should improve Augusta’s share price by more than 18% from the closing price on February 7, 2014," he added. In a presentation Monday, HudBay said it is attracted to Rosemont’s long life and low production cost as way to increase its copper output. The hostile bid is open until March 19.